According to a report from the U.S. Commerce Department, American consumers spent $453.46 billion shopping online in 2017. This represents a 16 percent increase over the year before—and the highest growth rate since 2011. A number of factors are helping to fuel this continual ecommerce growth, including the increasing adoption of mobile devices making it simpler to shop from anywhere. Order fulfillment is becoming faster and more flexible, ramping up the convenience of shopping online. More companies are incorporating omnichannel retail sales, which encourages customers to utilize online tools to supplement the brick-and-mortar experience. The list goes on. This demonstrates there’s potential for entrepreneurs looking to enter the online retail space. However, success depends on establishing a strong foundation from the start. Here are four considerations for new ecommerce businesses looking to strategize on covering their bases. Don’t merchants need an audience in order to know who’s buying their products? Not exactly. While sellers will undoubtedly run customer analytics once their web store goes live, it’s entirely possible to speculate on your target audience ahead of time. This way, you can use hypothetical “buyer personas” to guide marketing and sales decisions. What types of media does this buyer consume online? On which platforms? How knowledgeable about your products is this buyer? What problems can you solve for members of your target audience? What is the advantage of choosing you over your competitors? Which appeals elicit the best response from this type of buyer? How early does this buyer adopt new technology? After you launch your store, you can use data to refine your view of your target audience, then update your buyer personas accordingly. You want to hit the ground running from day one, which means you need a functional, branded website behind you. The best ecommerce website builder will allow for plenty of customization so your website looks and feels unique to your company. Everything from your shop name to your logo, color scheme, copy and on-site imagery will factor into shoppers’ lasting perception of your brand. For this reason, it’s important to conceptualize your brand early and make prudent choices to convey its appeal to your customers. Next, you must plan how you’ll stock your store’s inventory and how you’ll get these items to buyers in a cost-effective manner. Developing vendor relationships is important, as you’ll need agreements with reputable partners to keep your store operational. You’ll also have to decide whether you will store your products or utilize drop-shipping directly from a manufacturer. This decision depends on the nature of your business. To complete conversions, you’ll need to integrate payment gateways with your website. 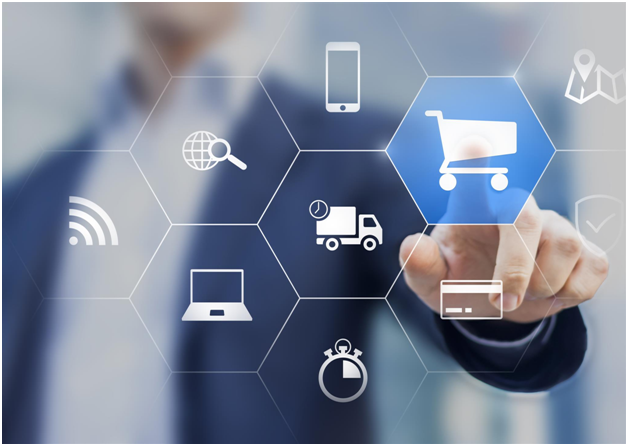 The more flexibility and security you can provide here, the better customers will respond when they reach the checkout stages of their purchasing journey. In addition to credit and debit cards, many websites accept PayPal and other popular gateways as a means of providing maximum convenience to buyers. These four considerations for new ecommerce businesses will help point you in the right direction as you’re launching your fledgling online retail company.